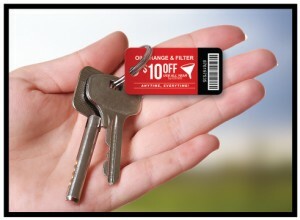 Plastic key tags are a true marketing multi-tasker. They encourage repeat visits, promote your brand and provide the ultimate in convenience for your customers, all from something they see and touch every day: their keys. Consumers appreciate the convenience of the small, easy to carry format while they enjoy all of the benefits of a membership, loyalty program or promotional offer from your business. 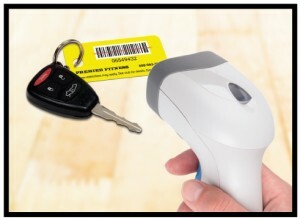 With bar codes, QR codes and magnetic stripes, you will benefit from the same member attendance tracking, sales promotion capabilities and POS integration that our larger credit card sized products and mailers provide. Membership based businesses like fitness clubs regularly use key tags as a way of providing secure access to their facilities, tracking member activity and providing access to special promotional events like personal training sessions, etc. Call Impact Mailers today at 1-404-973-2770 to get started or click here to request samples. COPYRIGHT © IMPACTMAILERS. ALL RIGHTS RESERVED.